Cavities aren't the only threat to your teeth. 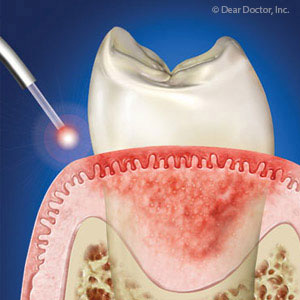 Periodontal or gum disease can also lead to tooth loss if it isn't treated promptly. Fortunately, good periodontal care can help you avoid the painful disease. 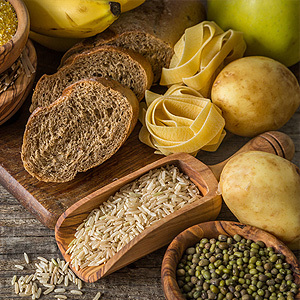 Your Lawrenceville, NJ, periodontists, Dr. John Lu and Dr. Raul Figueroa of Lawrenceville Dental Implant Center and Periodontics, offer treatments that can help improve the health of your gums. 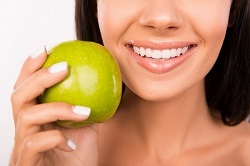 Why is good periodontal health is important? Your gums support your teeth and help hold them in place. If your gums become diseased, your teeth may become loose or even fall out. The bacterial infection that causes gum disease not only affects gum tissue, but attacks ligaments and bone that anchor your teeth. Periodontal disease may also increase inflammation throughout your body and could increase your risk of heart disease or stroke. Brushing and Flossing Daily: Brushing and flossing remove plaque, a bacteria-laden substance that causes tooth decay. 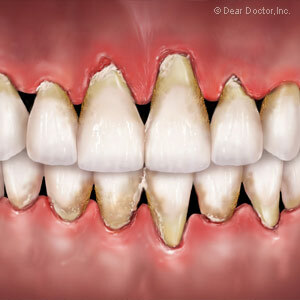 If plaque remains on your teeth for as little as 10 days, it may turn into a hard deposit called tartar. Tartar irritates the gums and is a factor in gum disease. Scheduling Regular Dental Cleanings: Visiting your dentist every six months for a checkup and dental cleaning is an excellent way to protect your periodontal health. During your cleaning, both plaque and tartar will be removed. Do you know the signs and symptoms of gum disease? If you have gingivitis, the mildest form of periodontal disease, you may notice bad breath, receding gums, bleeding when you brush and floss, or red, swollen gums. Luckily, gingivitis can often be reversed after a deep dental cleaning in your Lawrenceville, NJ, periodontist's office. The cleaning doesn't just remove plaque, tartar, and bacteria from your teeth but also eliminates these substances below the gum line. If you don't treat your gingivitis, you may develop periodontitis, a serious infection of your gums. If you have the infection, you may notice deep pockets or spaces between your gums and teeth. Loose teeth or dentures, pain when chewing, and pus around your teeth are other symptoms of the infection. If you notice these symptoms, call your Lawrenceville, NJ, periodontist as soon as possible. He may recommend a procedure to close the pockets around your teeth and suggest gum or bone grafts to replace lost gum and bone tissue. Are you worried that you may have gum disease? Call your Lawrenceville, NJ, periodontists, Dr. Lu and Dr. Figueroa of Lawrenceville Dental Implant Center and Periodontics at (609) 896-0700 to schedule an appointment today!